The cimbalon (Zymbal, Czimbalon, Zimbel) in its original form belongs to the oldest of musical instruments. Old Persian miniatures already show little string instruments that are stroked by little wooden sticks. Brought to Europe by the Arabs the instrument developed into the medieval trapeziform Psaltery (Psalter, Salterio tedesco). In the 15th century it was well known in various forms and under many names : Hackbrett (Zurich 1447), dulce melos (Bohemian 1460), dulcimelo (Italy 1461), doucemer (France 1449), dulcimer (England, 1450 up to now), and it was hit by little hammers or plucked (plucked cimbel). 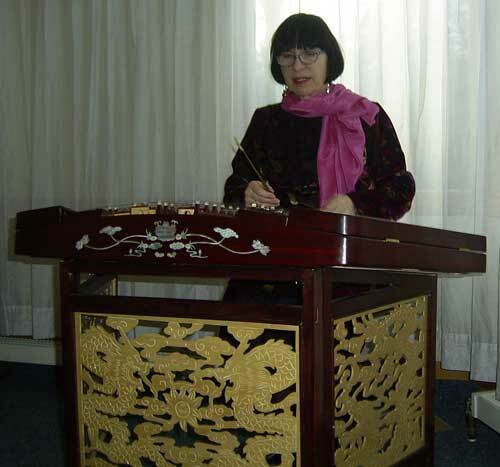 Since now similar instruments have been played in many countries: Greece: "sadoury"; Persia: "santour"; Egypt, India: "santu"r; China: "yangqin"; Mexico: "salterio" (plucked); Belorussia: "cimbaly"; Rumania: "tambal": USA: hammered dulcimer; in the Alpine countries: Hackbrett. Since the 16th century it has been found in Slavonic countries and Hungary - even at the royal court. In the 18th century it became a characteristic part of the Hugarian gipsy bands. In 1864 József Schunda (Budapest) improved this instrument by enlargening it, setting it on legs and adding damping pedals. 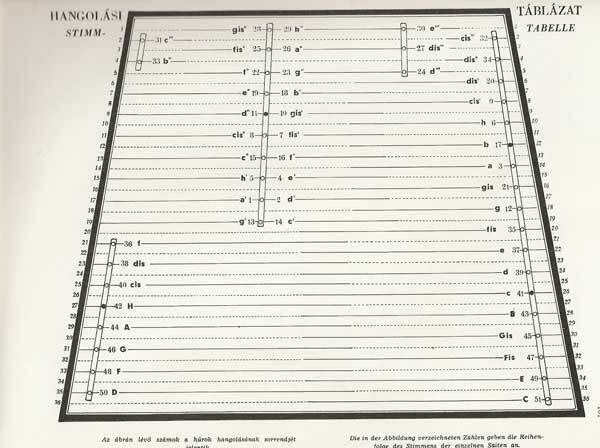 Géza Allaga edited the first cimbalom school and wrote compositions of his own. 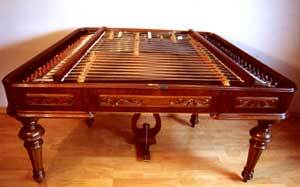 The cimbalom thus became the most popular domestic musical instrument and was taken over into folk music (for example in Moravia, Slovakia, Rumania and Jugoslavia).